A vitamin found in natural sunlight and oily fish could potentially reduce high blood pressure, according to research. 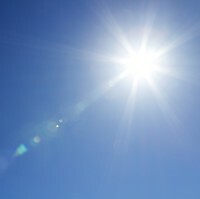 Scientists from the University of South Australia identified a strong link between low levels of vitamin D, absorbed by the body from sunlight, and higher levels of blood pressure. They believe it is the first study of its kind to suggest that taking vitamin D supplements could be an alternative to drugs for tackling high blood pressure in some patients. The discovery also makes a strong case for packing your bags and jetting off to sunnier climes more often. Holidaymakers who suffer from high blood pressure should make sure they purchase pre-existing medical condition travel insurance before embarking on trips overseas. This provides the peace of mind you need to enjoy your holiday, just in case something goes wrong on your travels. Vitamin D is found in oily fish, as well as being routinely added to milk, yet our diets only account for a small amount of the nutrient that actually makes it into the bloodstream compared with exposure to the sun. In fact, figures show that as many as three-quarters of Britons have vitamin D intakes which are below recommended levels, with children and older people deemed the most at-risk groups nationwide. The Food Standards Agency does not recommend a specific daily dose of vitamin D unless you fall into one of the following categories: elderly, pregnant, Asian, get little sun exposure or eat no meat or oily fish. Daily supplements of 10mcg are advised in these cases. Genetic data from a database of 146,500 people across Europe and North America was used in the new study. The researchers, who looked at particular genetic variants in the blood, found each 10% increase in vitamin D in the system was linked to lower blood pressure and an 8.1% lower chance of suffering from hypertension. The findings were published in the The Lancet Diabetes & Endocrinology journal.